When decay or infection penetrates the inner layers of a tooth, the tooth is at risk for dying and the resulting pain can be excruciating. At this point, the tooth nerves are affected, which makes the tooth highly sensitive to pressure and temperature. Root canal therapy is the procedure of choice to not only save the tooth but to also bring you out of pain. Dr. Shunnarah has performed countless root canals for patients who have infected or severely decayed teeth. 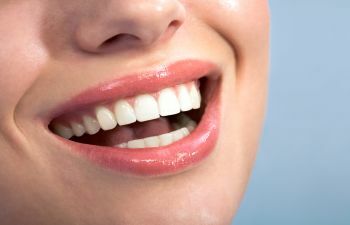 During this straightforward general dentistry procedure, he uses techniques to restore the tooth back to health so that patients can avoid a tooth extraction and potential bone destruction. Root canal therapy involves cleaning and sterilizing the central chambers of the tooth and eradicating the harmful bacteria. The infected tooth pulp is carefully removed and the tooth is filled with a special material and sealed off for future protection. It is not uncommon for patients to need a dental crown following their root canal. This ensures that the weakened or damaged tooth regains proper strength for everyday function. At Montevallo Family Dentistry, we perform painless root canals. Contrary to popular belief, root canals are no more uncomfortable than getting a dental filling. We offer local anesthetic as well as sedation dentistry to ensure your procedure is as pain-free as possible. Root canal therapy is designed to bring patients out of pain, as infected teeth can be a significant source of discomfort and disruption. While it may seem more cost-effective or easier to simply extract your damaged tooth, it is important to remember that keeping your natural teeth is always best. Missing teeth need to be replaced, and a dental implant is a far more complicated procedure that requires a greater investment. If you are experiencing tooth pain, don’t ignore it. We want to see you as soon as possible so that you can avoid progressive damage to your smile. Our Montevallo office proudly offers same day dentistry as well as flexible financing plans to maximize your convenience. Contact Montevallo Family Dentistry today to schedule an appointment. You deserve a smile that is healthy and comfortable!